Elise A. Friedland, Melanie Grunow Sobocinski, Elaine K. Gazda (ed. ), The Oxford Handbook of Roman Sculpture. Oxford handbooks in archaeology. Oxford; New York: Oxford University Press, 2015. Pp. xiv, 713; 8 p. of plates. ISBN 9780199921829. $175.00. A recent addition to the handbook/companion industry, this book is a welcome contribution to English language scholarship on Roman art. The editors have brought together an interesting mix of American and European scholars, both junior and senior, in a volume whose scope—chronologically, geographically, thematically, and methodologically—is very wide-ranging. The text is divided into six thematic sections, with between five and eight essays in each, for a total of 41 chapters. There is something here for anyone interested in the study of Roman sculpture, and individual chapters would make good introductory reading for courses on Roman (and even Greek) art and archaeology, for both undergraduate and graduate students. Most (if not all) of the chapters summarize scholarship in languages other than English, a real benefit for students. The editors lay out their aims for the volume in the introduction, which is much more than just a chapter-by-chapter outline of its contents. Their goals are to outline current 'best practices' for, and new methods used in, the study of Roman sculpture, to situate its study within the broader fields of Art History, Classical Archaeology, and Roman Studies, to fill a much-needed gap between introductory textbooks (D.E.E. Kleiner's Roman Sculpture is now almost 25 years old) and highly specialized scholarly literature, and to provide a 'platform' for further research. The editors and their authors have certainly met these goals in a well produced, clearly written, and interestingly organized volume. The first thematic section ('Collecting, Conservation, and Display') helps us to understand what we are looking at when we encounter Roman sculpture in museum collections. Topics in this section include the history of the formation of sculptural collections in Rome and the U.S., from the late 14th to the early 20th century; the change in attitudes and approaches to fragmentary statuary, from the sometimes significant intrusion of Renaissance restorers to the minimal intervention now advocated by scientific conservation; the affordances of 3-D scanning technology; and the challenges and problems of contemporary museum display. The essays in the second section ('Production and Distribution') deal with the sources and the methods of transporting the stone from which most of the Roman sculpture that is preserved to us was made, summarize the current state of scientific research on identifying the origins of white marbles, which is crucial to our understanding of the Roman marble economy, and explain the technical aspects of statue production in marble, bronze, and terracotta. 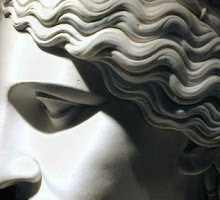 The techniques of marble carving and of re-carving and re-use, the process of bronze casting, and the complex and multi-step procedure in the application of color, particularly to marble sculpture, are all discussed clearly and concisely. The recent research on the transport and distribution of both the raw materials and finished sculpture that is presented here opens up new ways of thinking about the mobility of sculptors and how the market for sculpture may have worked in antiquity. The third section ('Styles and Genres') is perhaps the most diverse in terms of subject matter, and includes essays that address the historiography of stylistic analysis and the limitations of its application to the study of Roman sculpture, Roman 'copies' and the issue of originality, portraiture, monumental 'historical' reliefs, and the sculpture of late Antiquity. Style, iconography, and chronology are central concerns of most of the chapters, but issues of material, context, and patronage are also addressed. The overarching argument, and a thread that runs throughout most of the chapters, is that a distinctly Roman style of art was forged out of the creative adaptation of earlier sculptural traditions—Etruscan, Greek, Egyptian—and that this new style was defined by eclecticism and archaism. This eclectic approach to artistic production is surely one of the reasons that the traditional scholarly method of dating much of Roman sculpture by style is fraught with difficulty, although stylistic dating still—by necessity—underpins the historical interpretations of many of the authors' arguments. Dating by style works better for some genres of evidence, such as portraits and historical relief, than for others, although even with these categories chronological difficulties and uncertainties abound. And while some authors seem to suggest that stylistic dating is less problematic in the study of Greek sculpture, this is not the case: it is, in fact, quite difficult to differentiate between, for example, late Classical and early Hellenistic portraits, or late Hellenistic and early Imperial draped statues. The complexity and diversity of Greek sculpture in general and Hellenistic sculpture in particular render them ill-suited to an overarching narrative of linear stylistic development; in this as in many other aspects, there are numerous similarities, connections, and continuities between Hellenistic and Roman art both in terms of style and genre that might have been productively explored. The essays in section four ('Spatial and Social Contexts') explore the wide variety of settings used to display Roman sculpture and deal with issues of patronage—imperial, elite, and non-elite. It is in this section that the reader gets a good sense of the striking diversity of Roman sculptural production and the crucial role that it played in the visual landscape of the Roman Empire. Even a small provincial city far from Rome was replete with sculpture: in houses, on city gates, in theaters, along streets, on fountains and in baths, in sanctuaries and temples, in cemeteries. Collectively the authors demonstrate the central importance of sculpture to our understanding of Roman social history, and show that any study that either does not take into account or actively engage with this visual landscape is likely to be seriously lacking. Individuals at all social levels were involved in artistic patronage, and the study of this patronage, especially at the social margins, is clearly an area for future research. I therefore found the essays in this section particularly exciting; they would be productive reading for anyone—but especially graduate students—looking for a research topic. Ideas for new research also abound in section five ('Regions and Provinces'). In addition, the essays here greatly expand the range of evidence typically treated in our histories of Roman sculpture, and the authors should be commended for describing these examples of 'provincial' art in a way that does not compare them unfavorably to Roman metropolitan sculpture. The material from Egypt, North Africa, and the Near East probably offers the greatest opportunities for exploring new research questions, as a wealth of material published long ago in catalogue form awaits our renewed attention. But even the better-known material from the other regions and provinces would profit from additional work, on issues, for example, such as workshop practices, marble provenancing, and patronage. And because the sculptural material from many of these places is either so little known or published in sources difficult to access except in the best research libraries, the parsimonious number of illustrations throughout the volume has a particularly deleterious effect on the reader's ability to comprehend the essays in this section. Given the large number of works referred to but not illustrated, I think that most students—and some scholars—will find these chapters frustrating to read. The final section ('Viewing and Reception') explores how viewers understood, evaluated, interacted with, and responded to Roman sculpture. The essays engage these themes in a variety of ways, using a range of evidence, both literary and material, and of methodological approaches. The interpretation of Roman statuary—by ancient viewers and modern scholars—is the focus here. Topics include: the different ways art is discussed in ancient literary texts (Cicero is interested in subject matter, Pliny in artists, Quintilian in style); the utility of reception theory as an alternative to the historical/contextual approach in understanding viewer response; how insights from modern museum studies might help us to understand Roman practices of collecting and displaying 'art'; what the ubiquity of two-dimensional representations of statues in Roman art might tell us about the ancient landscape of (now mostly lost) three-dimensional statuary; how humans interacted physically with statues, sometimes in surprisingly intimate ways (e.g. bathing, feeding, grooming); and how this intimate physical relationship between humans and statues might result in the more violent and destructive interaction of iconoclasm. Such a diversity of subjects, however, makes this section seem much less coherent than the others, while also highlighting the richness of interpretive possibilities. The volume is well-produced, although the aversion to footnotes sometimes makes reading difficult, particularly when parenthetical references run over several lines. Some chapters would have benefited greatly from more illustrations, particularly of sculpture that is less well known, and others could easily have done with fewer, without sacrificing clarity. In the age of Google images and Flickr, was it really necessary to illustrate the chariot relief from the Arch of Titus or the Farnese Herakles? On the other hand, I was grateful for the chapter-by-chapter bibliographies, which makes the volume more user-friendly and will make it easier to assign individual chapters for course readings. And while I found some essays more interesting and thought-provoking than others, that is surely to be expected in a handbook that covers so much ground. The editors have certainly fulfilled their aim to provide readers with the current state of and potential new directions in the field of Roman sculpture studies. Iconoclasm / Troels Myrup Kristensen.